• "One of the ageless, evergreen singing stars that we have … as beautiful and talented as ever… she’s marvellous!" • "Truly defines the word class …"
• "Among the multitude of good jazz singers in Britain today, there is not one who can surpass Elaine Delmar..."
ELAINE DELMAR has long been established as a singer of the very highest calibre - with the voice, looks and personality that have captivated audiences wherever she has appeared the world over. Born in Hertfordshire, UK, Elaine was raised in a strong musical environment, her father being the renowned trumpeter Leslie 'Jiver' Hutchinson, a leading influence in the jazz and dance band movement in Britain from the 1930s onwards. After initially studying classical piano, Elaine found a natural progression in singing and became a vocalist in her father's own band at sixteen. It was soon apparent that her vocal talent and natural affinity with the stage would lead her to triumph in many areas of the entertainment world. Elaine's experience is indeed wide and diverse. On stage, she appeared in Cowardy Custard at London's Mermaid Theatre and No Strings at Her Majesty's Theatre in the West End. Although best known for her starring role in the musical Bubbling Brown Sugar at The Royalty Theatre, London, she also had notable success with Kern Goes To Hollywood, appearing in both the London and Broadway productions. Elaine also received critical acclaim as a straight actress for her role in A Map Of The World at the prestigious National Theatre. She has made many appearances on TV and radio and featured in Ken Russell's film Mahler as the Bohemian Princess. As a singer, Elaine is equally at home whether entertaining a concert audience or performing in the more intimate cabaret/small theatre setting. For example, she has appeared in concerts with Andy Williams (Free Trade Hall, Manchester) and Michel Legrand, with the London Symphony Orchestra (Royal Albert Hall, London). In cabaret, her performances have included appearances at The Ritz Hotel, London, as well as the QE2 and numerous other cruise liners around the globe. In recent years Elaine has been the star vocalist in such touring shows as Let's Do It, saluting the music of Cole Porter and By George, It's Gershwin, a celebration of Gershwin. Elaine's popular annual appearances at the world famous Ronnie Scott's Club in London have shown her to be remarkably adaptable in a jazz setting, having worked at different times with such jazz giants as Herb Ellis, Benny Carter and Stephane Grappelli. By popular demand, she will once again be headlining at the club. 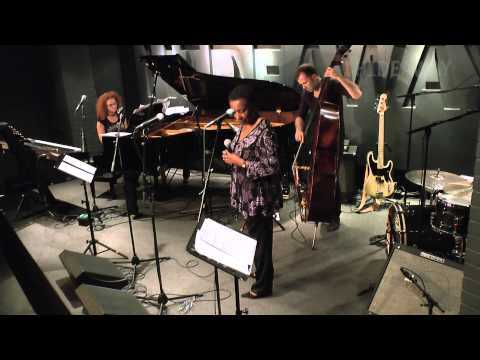 Tell us what you think of SUNDAY JAZZ LUNCH: Elaine Delmar below..